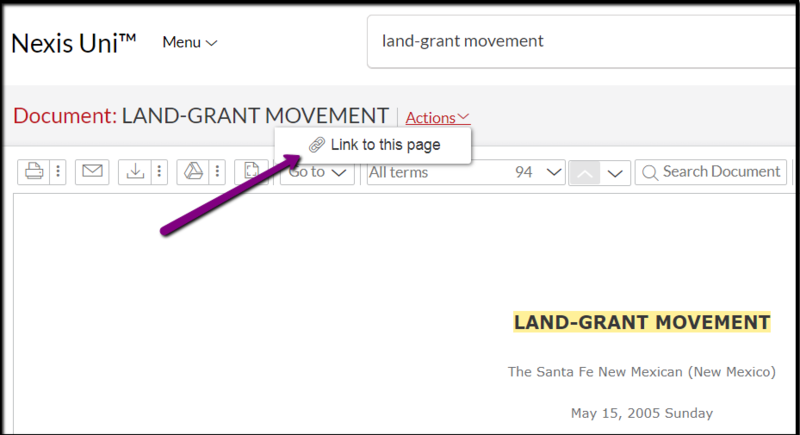 To locate a permalink for a Nexis UNI resource, click the title of the desired resource - a new page will open and then you can choose the "Actions" menu, then click "Link to this page." Permalinks from Nexis Uni remain valid for up to two years. When you click the "Link to this page" option, a dialog window with the permalink will open. Copy the permalink before closing the dialog window.